What started as a family business in electronic engineering more than 25 years ago has turned into a European innovator in on-street parking. More than just a manufacturer, IEM designs and develops solutions for efficient and smart on-street parking, thus making urban life easier. 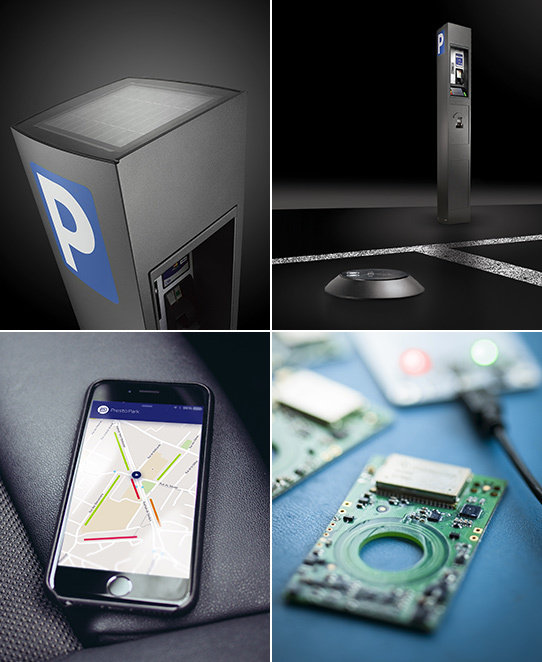 IEM is a leading European provider of intelligent instruments to manage on-street parking. The company brings state-of-the-art solutions to cities and parking operators and provides drivers with a set of applications which make their urban mobility experience most convenient. Shaping the future of smart urban parking does not prevent us from addressing the daily down-to-earth issues our customers have to deal with. We work closely with parking operators in the French part of Switzerland simply to keep the finger on the pulse of every aspect of on-street parking management. IEM’s Franco-Swiss team, working in the Geneva region, is involved in every detail of its products and services. All IEM parking meters are assembled, tested and quality-checked in IEM’s own facilities in Geneva. All IEM activities are 100% self-financed. This strong commitment to the company has contributed significantly to the realization of exciting new projects. Creation of the engineering firm "Ingénierie Electronique Menoud" by Edouard Menoud. Launch of automated newspaper dispensers with the first coin-operated and smart card reader. Transformation of the firm into the IEM limited company "Ingénierie Électronique et Monétique" and launch of parking meters. Development of the first bank card payment system. Diversification of the firm's activities in the sector of automatic ticket machines for the public transportation market. Creation of an operating system to improve the centralized management of transport ticket sales. Penetration of the European market with the pay-and-display Presto 600 Europa system and its centralized operating system for optimal equipment use. Takeover of the company by the founder's two sons, with Philippe managing IEM's general operations and François overseeing the development of new equipment and technology. Arrival on the Spanish market and ISO9001 certification. Launch of our mobile phone app for contactless parking payment as well as the new touch-screen pay-and-display system, Presto Interactif. Launch of the PrestoSense sensors with a first test in the city centre of Annemasse in France. Solution rewarded with the first prize in the Cleantech competition in Geneva. Launch of the portalprestopark.com, IEM's own brand. This multi-city website groups the whole set of on-street parking online services intended for motorists. On July 1st, IEM starts marketing its products, services and integrated smart parking solutions directly in Switzerland. International launch of the PrestoSense sensors after the installation of 650 sensors in Geneva.